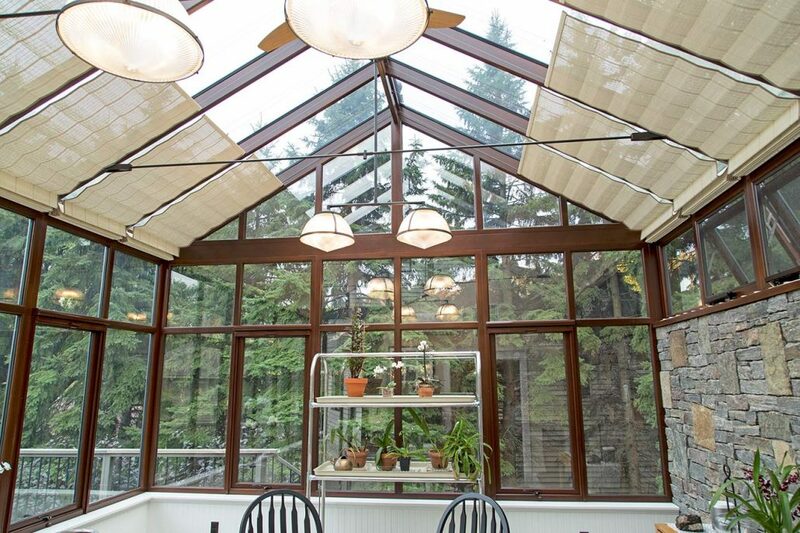 Throughout our years of work on a variety of different structures, we have learned that there are three main materials used for building a greenhouse: mahogany (or other types of wood), aluminum, and glass. Each of these three materials has a specific purpose for those who are building a greenhouse or conservatory, and it’s important to choose the correct materials for your individual project. 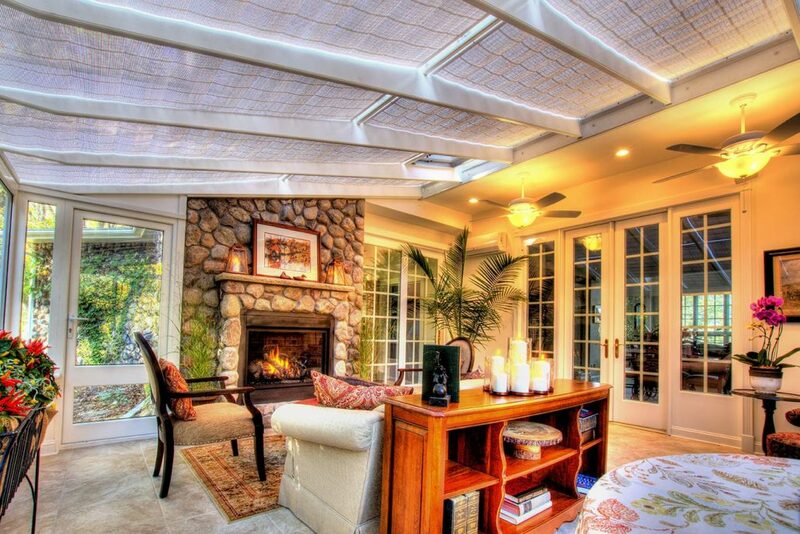 No two conservatories have the same exact needs. 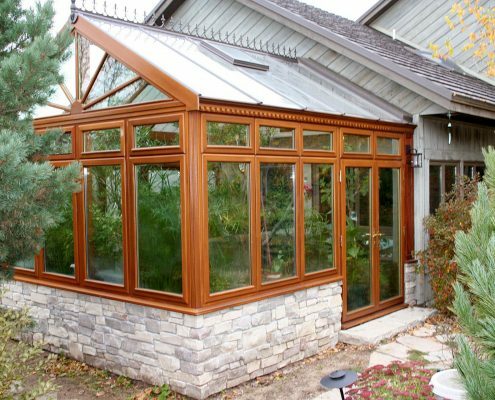 Mahogany is the most common type of wood used in the building of greenhouses and conservatories because of its durability and density. A large amount of the world’s mahogany currently comes from the Caribbean as well as parts of South America, especially Peru. Today, ethical tree harvesters are frequently certified by various forest protection groups. These harvesters source mahogany using tactics like reforestation, which will help keep the ecosystem of the local area. So you can feel at ease using it, knowing you’re contributing to a local economy as well as reforestation efforts. 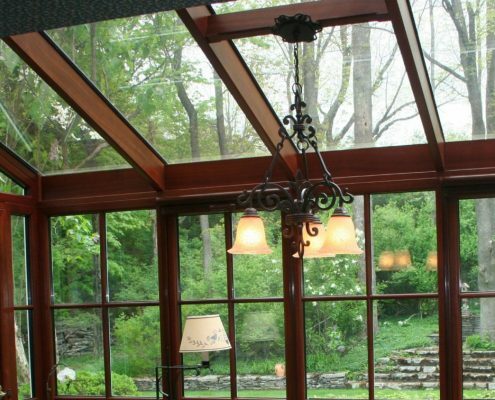 Mahogany is mostly desirable as a building material for greenhouses and conservatories because of its aesthetic. It is usually sealed with a moisture-resistant paint or finish that helps protect it from water damage. Aluminum is another popular material for those who are building a greenhouse or conservatory, because of its durability. Aluminum also does not rust, which makes it a great option for protecting a greenhouse from the weather. Aluminum can be painted over before it is used, but it is not the easiest material to paint, which is one of its main drawbacks. 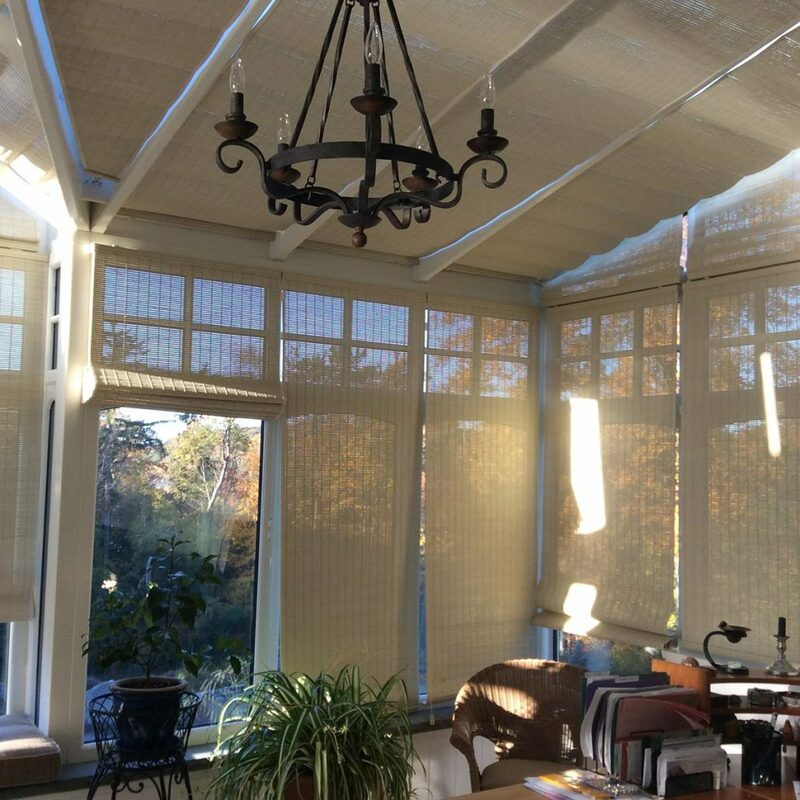 Aluminum can also be used over PVC or wood on a greenhouse project where the frame needs to be as strong as possible, but you want the benefits of aluminum. 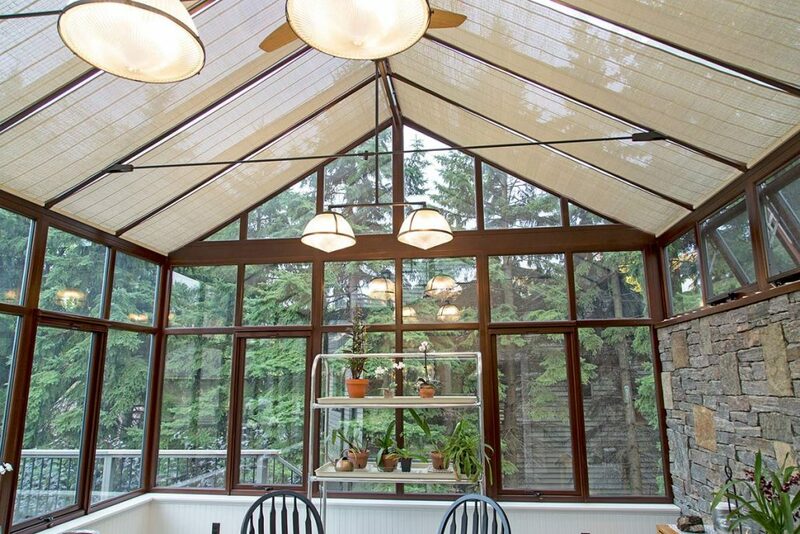 Glass is something that comes to mind almost immediately when a person thinks about a greenhouse or conservatory. Today’s glass is much more sophisticated than glass used on buildings in decades past, there are a variety of glass different glass options depending on your needs. 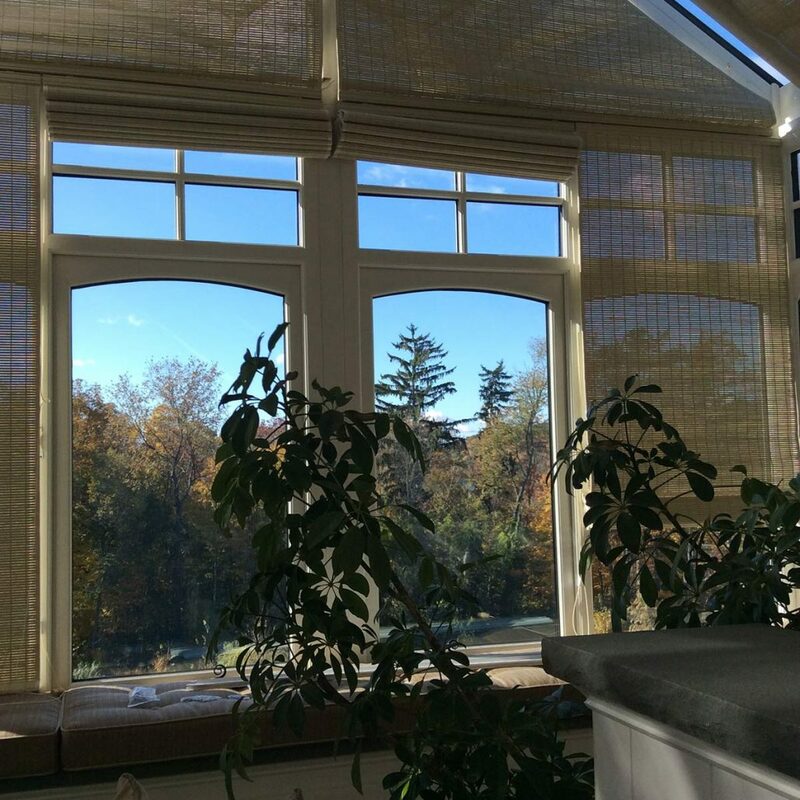 Some glass is designed to block the sunlight to keep things inside the conservatory sufficiently shaded, while other glass is made to transmit as much heat and light as possible. Whether you decide to go with leaded glass, stained glass, or another kind, be sure to choose the type of glass that is appropriate for your application. 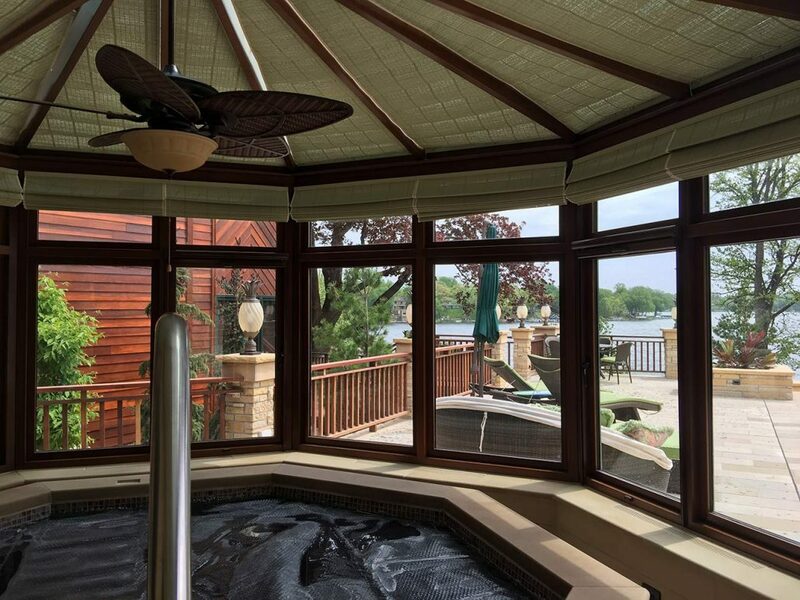 You will usually use a different glass for a greenhouse than you would use for a pool enclosure. 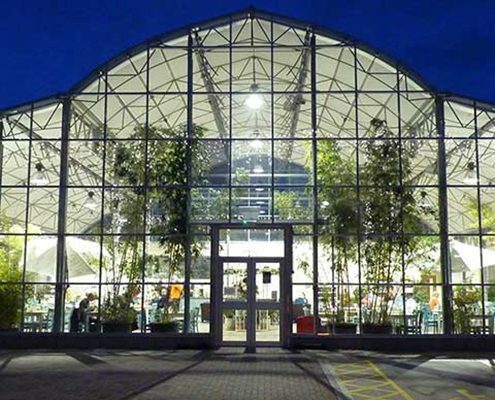 Although these are the top three materials used in greenhouses and conservatories, each one has their own specific sub-types and characteristics. Make sure to do your homework about your materials so you can be sure they are in line with your goal for your conservatory or greenhouse. But don’t worry, when you work with us, we can help walk you through the decisions and recommend what would be the best for your specific project. We’re always here to answer questions.